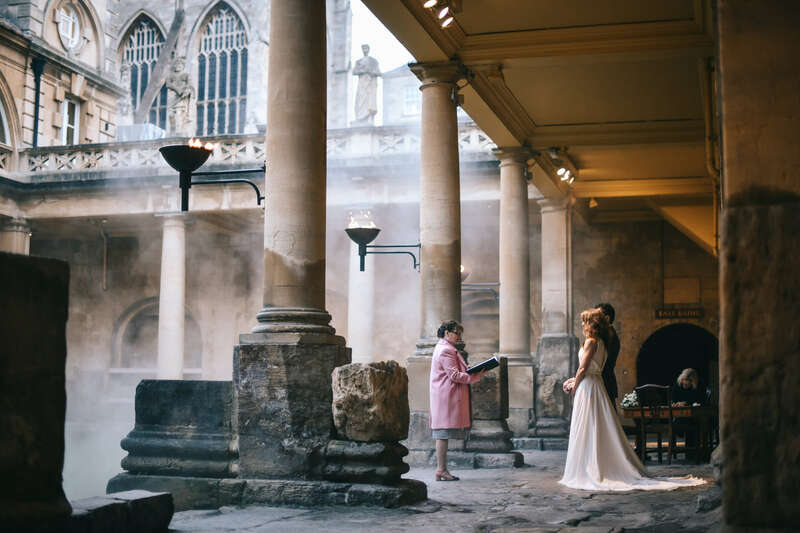 Join us at the Bath’s Historic Venues Wedding Open Evening – a unique opportunity to see the Roman Baths and Pump Room as they could look on your wedding day. The Bath’s Historic Venues team will be on hand in the evening to provide tours and answer any questions regarding the award-winning venue. As contracted caterers to the Roman Baths, Searcys will be providing a sample of the canapes and fizz you could enjoy on your own wedding day. If you have any catering questions, our events team will be happy to help. Other local suppliers will also be attending, including the Bath Register office, a florist, a photographer, wedding cake specialist, and musicians. Pre-registration is essential. Please call the Bath Historic Venues team on 01225 477786 or email bath_venues@bathnes.gov.uk.